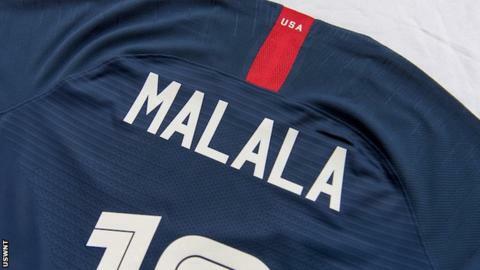 It's doubtful that Mother Teresa, singer Cardi B or civil rights activist Audre Lorde ever imagined that one day their names would appear on the back of a football shirt - but they didn't reckon on the SheBelieves Cup. Each player in the USA women's team had the name of a woman who has inspired them on their shirt for the 2-2 draw with England on Saturday night. Can you guess these five famous names? And when you've had a go you can see the full list here.